Illuminated silk panels float in the air like clouds, in the Heaven and Earth lamps. The light it casts is suitably bright, but soft and pleasing. 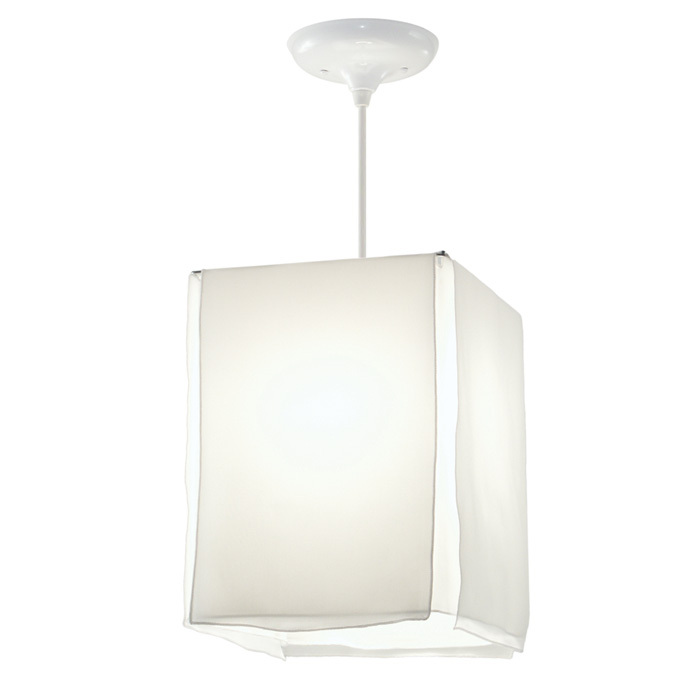 The Heaven and Earth I Pendant has a short shade of white silk crepe. This fixture is hard wired, but a pin-up version (white cord and plug, black available) with inline switch is available, please see the option below. Dimensions: Width: 9" - Height: 12"